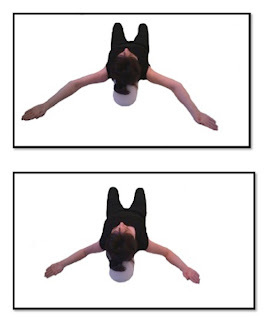 This exercise is intended increase the range of motion at the shoulders by stretching deeper muscles in the chest and creating balance between the front and the back of the shoulder. 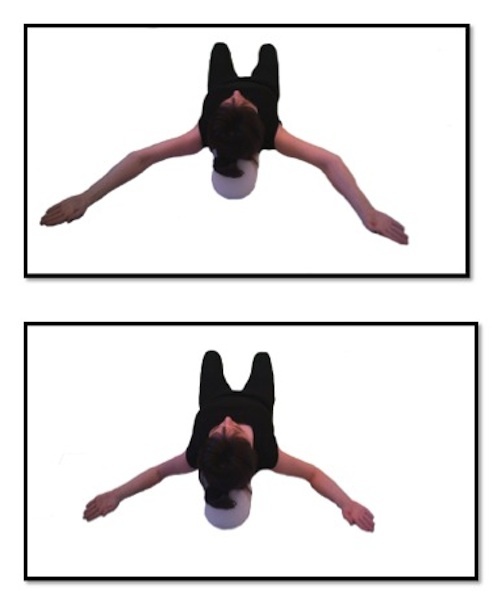 As you are doing this exercise you may feel a very deep and intense stretch in the chest, but you shouldn’t feel pain in the shoulder joint. To avoid the pain adjust the range of motion accordingly. To get the most out of this release it is important to maintain the entire forearm either on the floor or parallel to the floor. In some instances the body cheats and drops the elbows. Work hard to keep the elbows even with the hands.